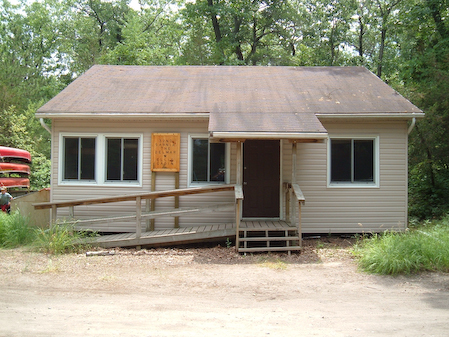 The Following are cabins that are for rent from groups in the Sarnia Area. Contact information is listed with each cabin. In most cases the following items are NOT included with the cabins, lanterns for outdoor lighting, garbage bags, good pots and pans, mattresses, dish soap, dish towels and dish cloths, wash bins for dishes. Cabin contacts will tell you what extra things are included with each cabin. Welcome to Wawanosh cabin. Anyone who has been in our cabin before will notice that we have done quite a bit of work too make this cabin warmer and cleaner. A supply of pots and pans, cooking utensils, cutlery, plates, bowls etc. Nice tenting area out front of the cabin. COST OF CABIN RENTAL: This cabin rental is $100.00 dollars per weekend. Please contact Rob Tuer for rental, further info, and or cabin concerns. Welcome to Grace United Delmar Ellis Cabin. We have a newly referbished kitchen, and campfire area. COST OF CABIN RENTAL: This cabin rental is $125.00 dollars per weekend. Please contact Jeff English for rental, further info, and or cabin concerns. Welcome to Dunlop cabin. As you may notice we have added a large deck for outdoor cooking. The cabin also has a change room. Propane Stove for heat not for cooking (propane for heating supplied) Heater is controlled with a thermostat so cabin stays warm in winter, not like wood stove where fire goes out it cools down. 2 propane lanterns are also avaliable, you will need to bring your own 1 lb cylinders. Large eating area, outdoor kitchen. Five gallon water jug to fetch water. Large fire ring area with benches. **NOTE - there is no stove in this cabin, so you will have to bring a Camp Stove to cook on. COST OF CABIN RENTAL: This cabin rental is $100.00 dollars per weekend. Please contact Shawn Jeansonne for rental, further info, and or cabin concerns. Small Cabin Description - Cabin is 12 by 12 laid out in an L shape and has bunk sleeping accommodation for 6 adults. Cabin has wood heating and is fitted with propane lights and a small 2 burner propane stove. Groups will need to provide their own 20 LBS propane tank to hook up on the outside of the cabin. Dishes are available, but no pots and pans. Large Cabin Description - Cabin is 20 by 20 and has bunk sleeping accommodation for 18. Cabin is propane heated and has white gas lighting - fuel is included with rental. Cabin includes dishes and pots and pans for 18 as well as two large tables and several knock down Scout style picnic tables. NO cooking appliance is provided but there is an exterior fire pit area and fire ring.